The following post was written in partnership with Intel®. Much has been written about the adoption of flash storage: is it simply a trend? Is it worth the overall cost and implementation time? With it, will an organization’s legacy systems, and its investment in them, be deemed obsolete? While certainly all worthwhile considerations, those topics are rarely pulled all the way through to their logical conclusion—the benefits of flash for the end-user. And it’s those benefits that should not only inform, but also play a large role in, drafting a future-ready storage roadmap for the IT decision maker. Without a doubt, the primary benefit of flash for the end user is performance. For customers, a lackluster real-time experience may translate to abandonment and the adoption of another online tool. For business users, it can mean a very real drop in productivity and a very real increase in frustration. Neither are scenarios that any organization wants to encounter. Yet they will with more frequency as data and workloads continue to expand in both sheer volume and complexity, taking them away from what’s really important to their business. These are the factors that should be top-of-mind for when debating the merits and the true costs of flash adoption. It’s also an ideal place to start when it comes to assessing an organization’s individual storage needs. Because for flash, there is no one-size-fits-all solution. Much like with spinning drive solutions, there are a variety of price points and performance levels to consider. There’s also the ability to create a hybrid scenario, or the combination of flash with traditional legacy storage, to take into account. When an organization opens the door to a hybrid or tiered solution, they open the door to decreased costs, increased performance and perhaps the best of all worlds. Hot data, or data that needs to be accessed regularly and quickly, finds a new home with flash storage. Cold data, or data that is expected to be used with far less frequency, can remain on legacy, spinning disc storage. By knowing when to scale out or scale up, organizations can not only reduce their power and storage footprint, they can make the end-user experience a positive one. In other words, the long term impact can be very worth the upfront costs that have kept those interested in flash storage at bay. Of course, determining the right mix of technologies isn’t always simple or clear-cut. Which is precisely why organizations need a partner that can help identify their needs and propose tiered solutions. For example, Dell’s assessment tool, DPACK (Dell Performance Analysis Collection Kit), is a real-time collection tool used to determine current workload and storage demands. 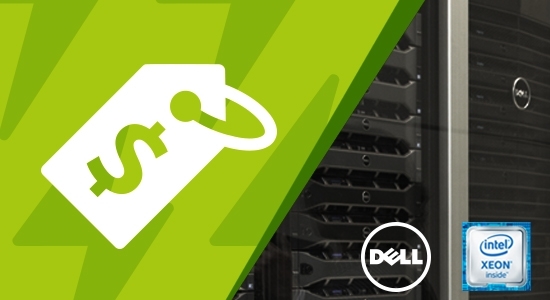 For our customers, getting a clear big picture is the first step in determining what Dell Storage Solutions, powered by Intel® Xeon® processors, will prove to be the most beneficial for them today and for what’s coming down the pike. Beyond the initial analysis, Dell also provides a level of automation that alleviates some of the pain points that can hamper flash adoption. That automation is built within the storage solutions themselves, often letting the end-user “set it and forget it” rather than increasing management time in some cases—a win for the IT manager and end user alike. Ultimately, it’s the end user that may make flash storage a must-have for organizations. And it’s the end user and their ever-increasing data and workloads that will drive how flash technology evolves. So, rather than asking “should our organization adopt flash,” the question is now “how quickly can we do so, how efficient can we be and what partner can get us there?” The answer can be the difference between a cost-prohibitive and a surprisingly low total cost of ownership.